If your favorite wool socks were accidentally put in the washing machine and now they look small enough to fit a doll, there's no need to throw them away. 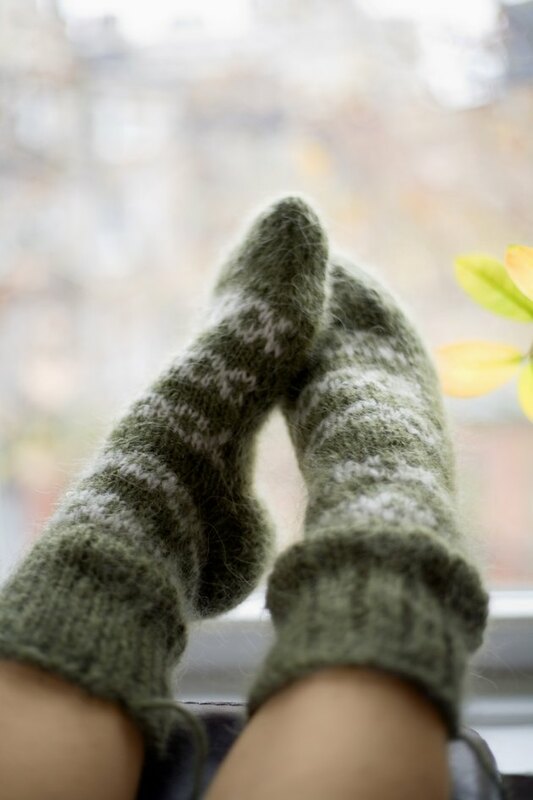 Wool socks often can be stretched back to their original shape with a little warm water and hair conditioner. You'll be wearing those socks again in no time at all. Dissolve a dime-sized amount of hair conditioner in a sink full of warm water. The softening properties of the conditioner make the yarn looser and more relaxed. Soak the shrunken socks in the sink. Rinse the socks under warm water. Squeeze the water gently out of the socks until they no longer drip. Don't twist or wring the socks. Lay the socks on a towel. 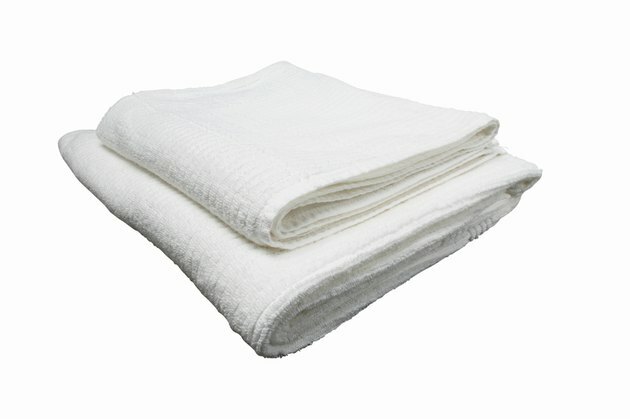 Take another towel and blot the socks to remove more water. Reshape the socks by stretching them to the correct size. Compare the shrunken socks with a pair of socks that are the desired size. Pull evenly on the shrunken socks until they are the same size as the other pair of socks. Continue to reshape the socks until they are completely dry. As they dry, they may start to shrink again, so check often and adjust as necessary. If the socks were washed but not dried, it will be easier to reshape them. If the socks were put into a clothes dryer as well, it may be more difficult to reshape them to the correct size.